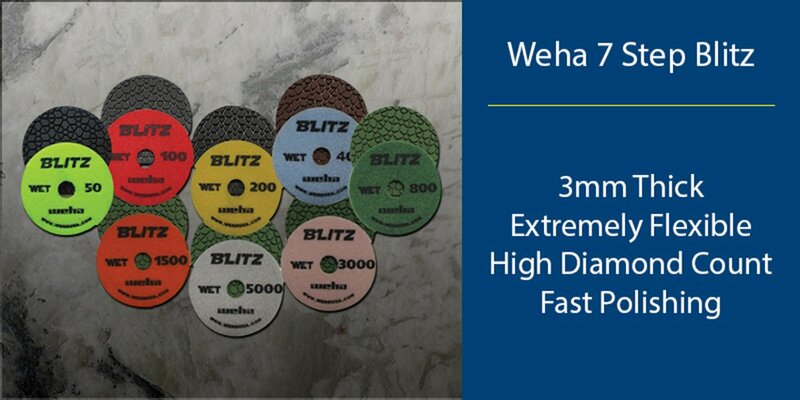 A polishing pad that can be used to polish virtually every stone. 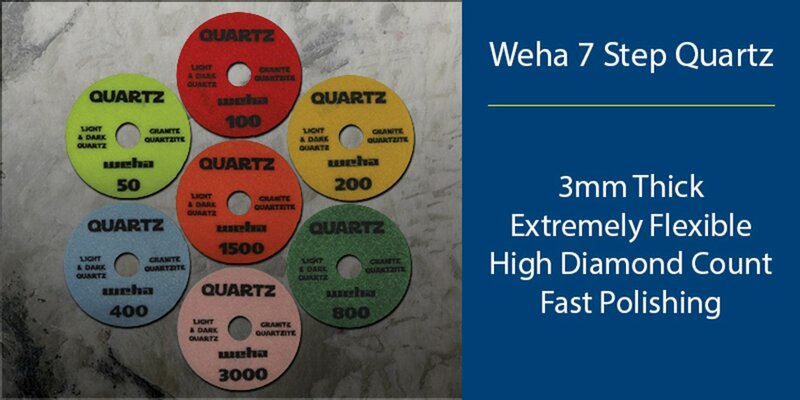 A polishing pad with a high diamond concentration for fast polishing. When it comes to resources about granite polishing pads, there are many options on the Internet. Although there are many options, this website focuses on providing detailed information. Granite polishing pads are available in many different types. Figuring out differences can be challenging for newcomers. 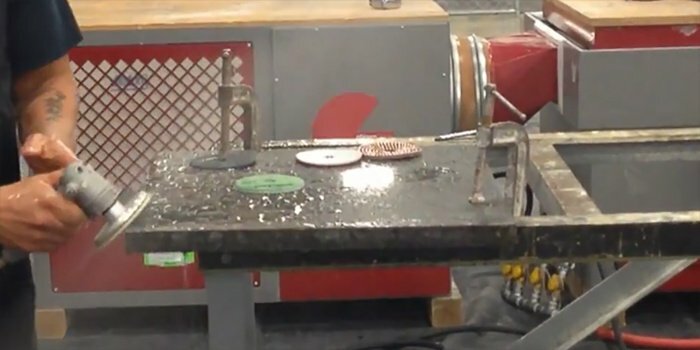 Seasoned fabricators might even have to do a bit of reading up on new technologies. You will find a variety of products used to polish granite stone surface and edges here. We discuss other products here although this site deals primarily with granite polishing pads. For example, this site has some pages dedicated to Tenax polishing wheels. Including this kind of information seems reasonable since polishing wheels are used for a similar purpose. In addition to polishing pad articles and informational pages you will find detailed product descriptions. Product descriptions are written to provide information about specific engineered stone and granite polishing pads. In addition to giving information about the product the text will also mention benefits. Another goal of ours to regularly author blog posts discussing various aspects of the stone industry. This is because new techniques, products, technology is advancing at steady pace. Hence, there is a need to post comments or other written communication that clarifies or elaborates on such topics. That concludes the summary of information that you can expect to find on the granite polishing pads website. Furthermore, we hope you enjoy browsing around our website and getting to know more about polishing granite.